Attending art programs at Moravian College, The Baum School of Art, and the University of West Florida in the 1970’s, she continues to study and expand her repertoire and abilities. Attending the Art Students League of Denver and participating in workshops whenever she can, with artists such as Quang Ho, Kim English, Jay Moore, Ron Hicks, and Kevin Weckbach. In 2001 she completed the Denver Botanical Gardens Certificate in Botanical Art and Illustration. This award-winning artist has been working professionally since 1976 and has been the recipient of a number of scholarships, grants, and awards for her work, including two international design awards. Her work has appeared in numerous galleries and national exhibitions, hangs in many private and corporate collections. 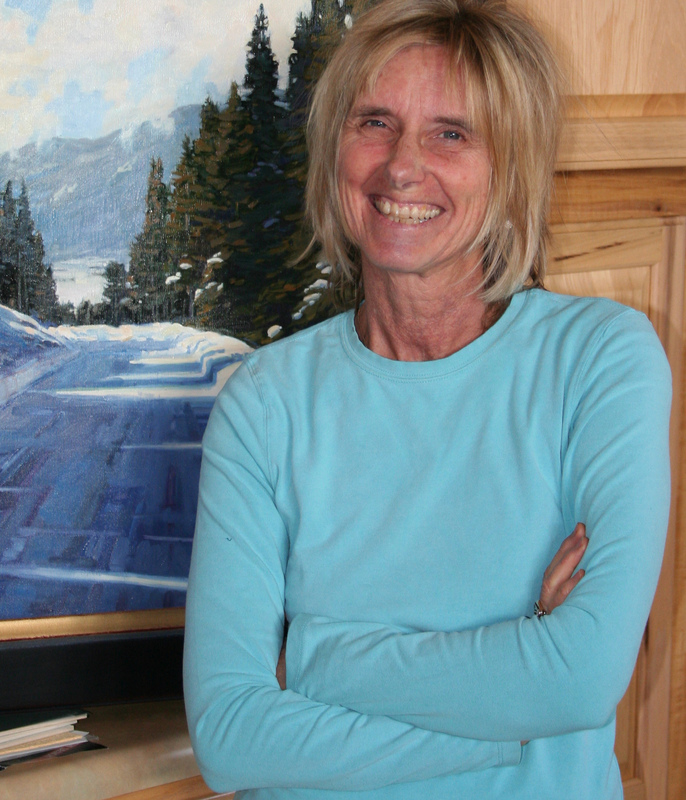 She has been published in the celebrated books "Art of the National Parks: Historic Connections, Contemporary Interpretations", “Landscapes of Colorado,” She has been a featured artist in Southwest Art , Fine Art Connoisseur, Plein Air and Art of the West Magazines. Her work has also appeared on the covers of Art Life, Evergreen Living and Mountain Country Life. The "American Art Collector" and 'Best of American Art and Artist" series of books has published her work. Susie Hyer is a signature member of Oil Painters of America, a signature member of the American Impressionist Society, signature member of Plein Air Artists of Colorado, Plein Air Painters of New Mexico and signature member of Plein Air Painters of Hawaii. She has been a National Vice President of the Women’s Caucus for Art, and past President of the New Orleans Chapter, Her work is represented by a number of galleries along Colorado's Front Range and the Southwest. 2018 Santa Fe Plein Air Festival, Santa Fe NM. Enchanted Sky Award 2nd Place.